If you want a new table for your home but you don’t have a lot of room, you will find that the Godenza Round Dining Table from the Moe’s Home Collection is a great option for you. 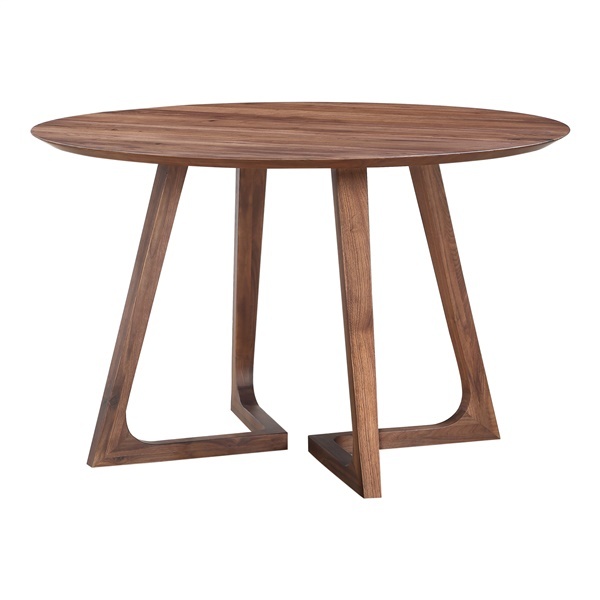 Made from American walnut, this table has a warm, rich finish that can be easily incorporated into any type of décor. The hardware is included and this table is sized sensibly for a smaller space. With a strong, sturdy base and a beautiful finish, this table is perfect for smaller houses or apartments. Solid construction of American walnut. Mid-century style easily incorporates into modern or eclectic aesthetics. Sensibly sized for smaller spaces. Is the gordenza round table solid walnut construction or veneer? The information stated walnut solid wood construction but did not specify solid walnut. I just want to make sure it is not walnut veneer on another kind of solid wood. Also, are there chairs to match?